BART was ready. 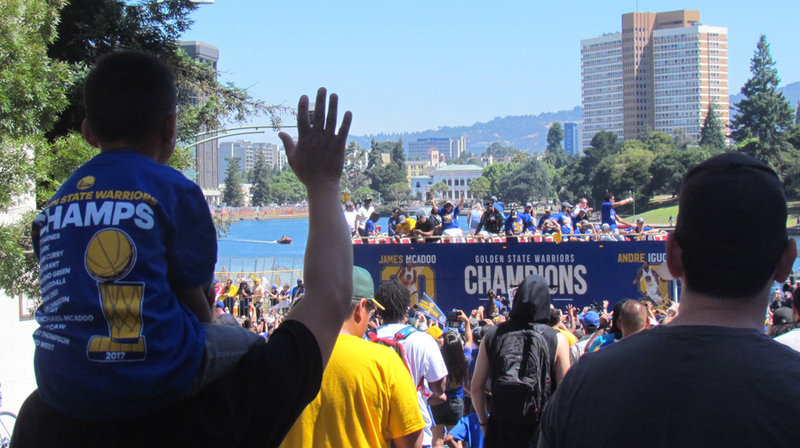 The city of Oakland was expecting 1.5 to 2 million people to pile into downtown this morning to celebrate the Warrior’s NBA championship. Oakland is the geographic center of the BART system, so for most people it made sense to use BART for at least part of their trip in to the parade. 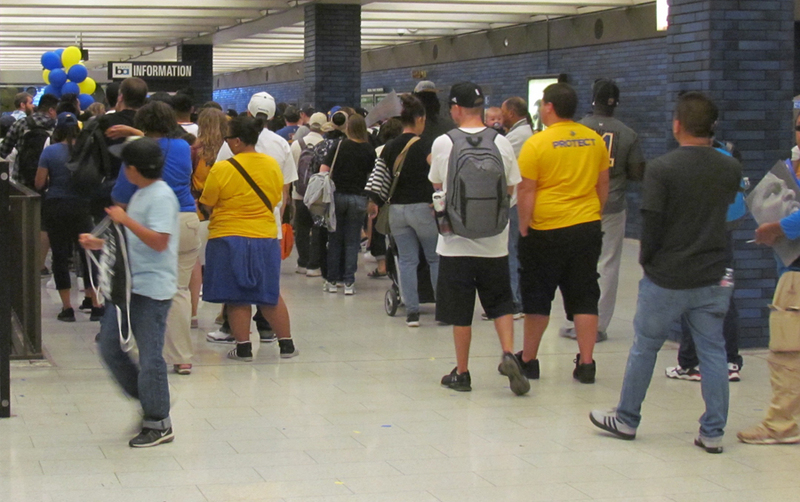 BART has some experience with big crowds–on a daily basis, for one. Trains into San Francisco on most mornings are pretty much already at capacity. But BART also has to be ready for the occasional unusual event, in this case a happy one. 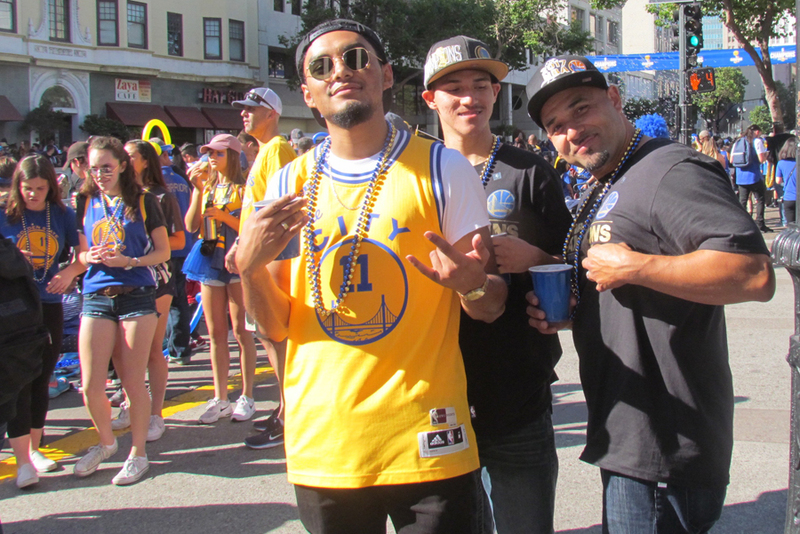 BART had a game plan based on experience from the last time the Warriors won the championship, in 2015. That day came close to the record for ridership–topped only by the day of the Giant’s World Series victory parade, which happened to land on Halloween in 2012. 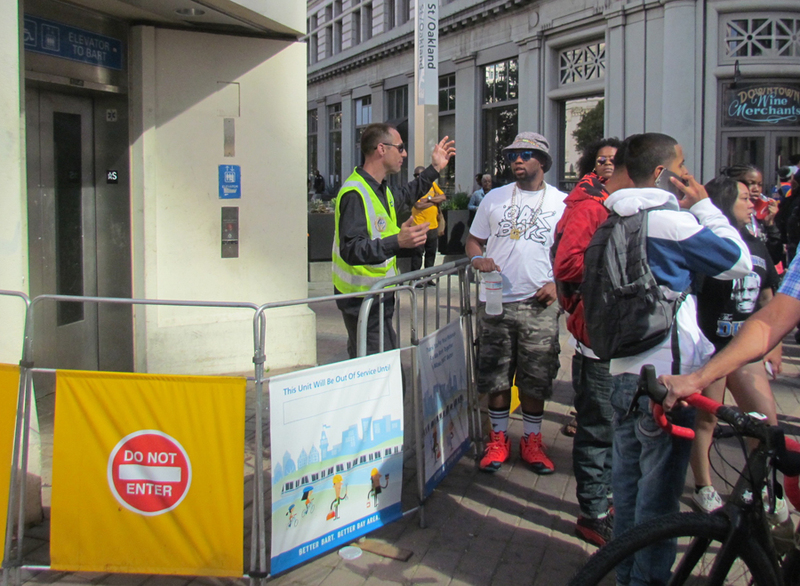 As of 2 p.m. this afternoon, the number of riders is very similar to where it was at 2 p.m. in 2015, although the post-parade rally is still happening as this is being written–so it’s possible BART ridership numbers will top the record by the end of today. In the morning, some cars were too full to let people on–although this can happen on a regular morning commute as well. BART put up barriers to make it easier for people in wheelchairs to get to the elevator, and people staffing there spent a lot of time giving directions to parade goers. 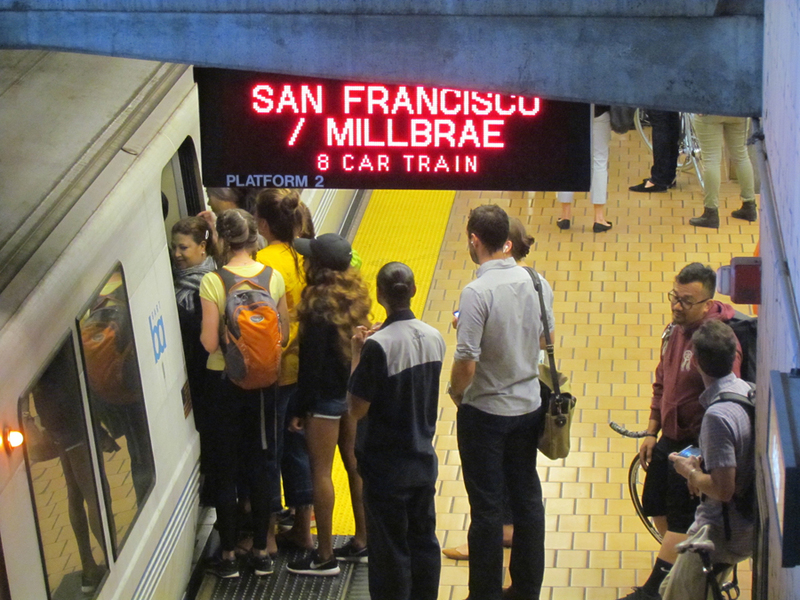 In 2015, BART didn’t anticipate how many people would be traveling into downtown from stations south of downtown, along the Fremont line. So this year they added more trains on that line, and also sent half of them during the morning runs back south from MacArthur, rather than sending them along to San Francisco. That meant that, for once, it was the Richmond-Fremont line that got a little more love rather than the trains heading to San Francisco, which usually get priority in terms of length and which leaves the station first. 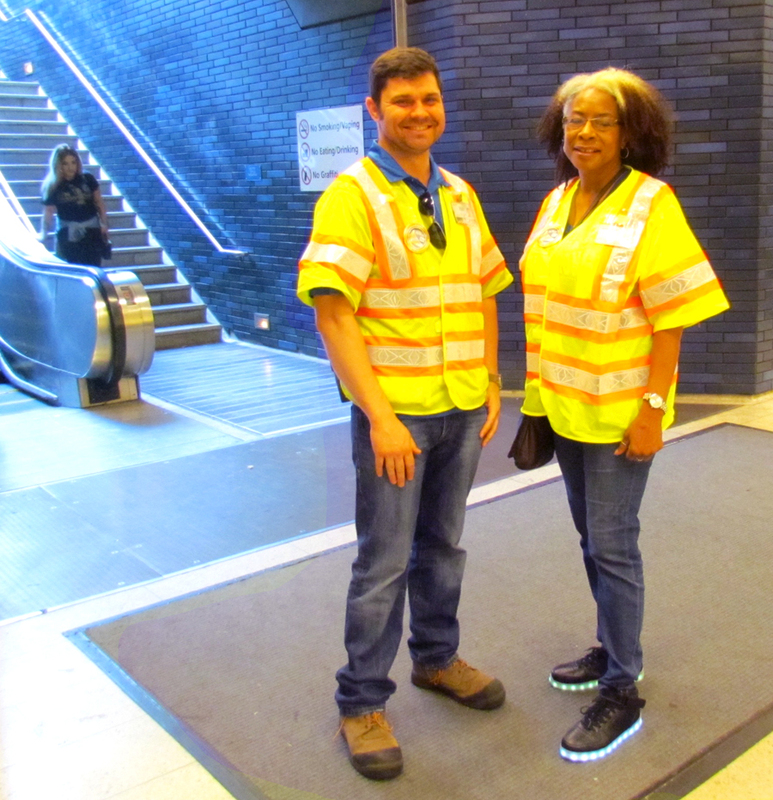 BART employees at 19th Street station were ready to answer whatever questions people had. The day’s not over yet. It’s hot, and people were already dragging their feet. After a day in the sun with a lot of loud music and crowds, people might not be in such good moods anymore. But with a little patience, everyone will make it home okay. Stations were crowded after the parade, but not unbearably so. 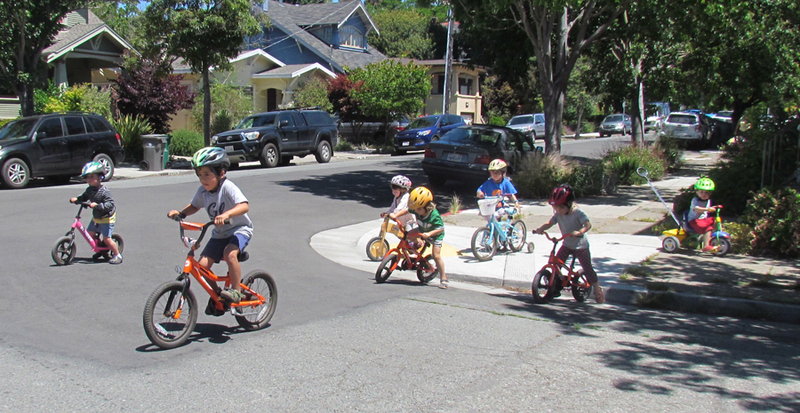 Meanwhile, at street level, there was an ongoing party. Lots of Oakland pride and high spirits. OH, and a parade, too. That’s Andre Iguadala up there. Go Warriors! 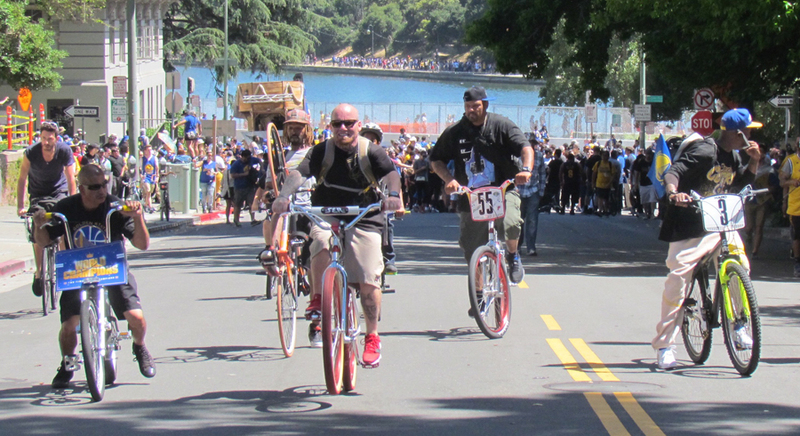 The best part, for a bicyclist were the car-free streets behind the parade route. 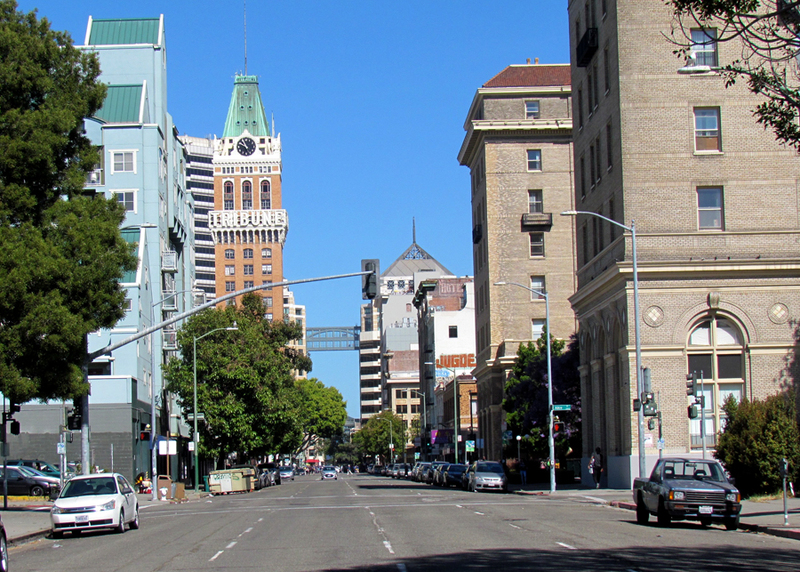 Oakland downtown is rarely this peaceful. 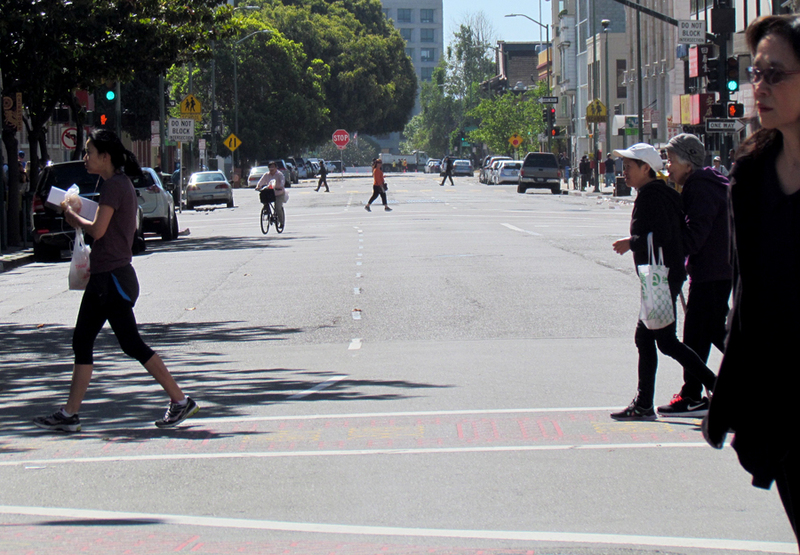 It was all-pedestrian-scramble all the time in Oakland’s Chinatown, where on a usual Thursday getting through here means crossing a nightmare phalanx of cars and trucks. There were a few people who knew the best way to get around. Okay, this was not part of the official parade, but it was completely irresistible. 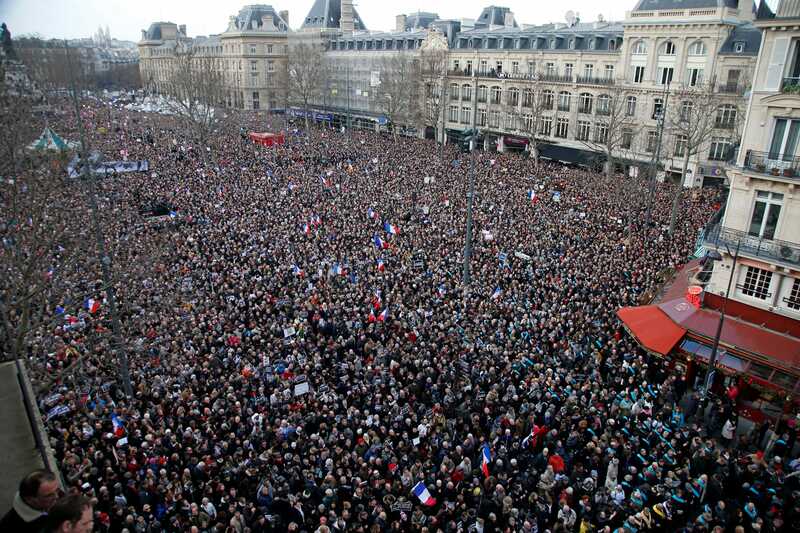 The estimate of 1.5 to 2 million people is completely bonkers, though. This is what *part* of a million-person crowd looks like. As an example of how these estimates and plans are crazy, I rode into Jack London on the Capitol Corridor 538 and they are holding it for ten minutes so the fans can board. But there is nobody on the platform and nobody anywhere near the station either. Riding this train is like paying $10 every day to be kicked in the shins, so a needless ten minute delay is pretty aggravating. I’m seeing other sites saying numbers between 500k and 1 million actual attendance. So, if taking the Capitol Corridor is such a painful experience why not drive instead? Surely you’re joking. For one thing the train is dramatically faster than driving up and down I-880, if you can make a reasonable connection at each end. Also personal reasons like I don’t own a car and I’ve never driven to work in my adult life. I understand. I don’t own a car. either. Heck, I never even learned how to drive. It’s just that you made taking the Capitol Corridor sound like such a painful experience. I have not found it so, and I take it 1-3 times per month from San Francisco via Emeryville or Richmond to Sacramento. It’s just chronically unreliable, generally not on time in the westbound morning direction. It’s constantly breaking down and when it does, the arrival prediction just stays a certain number of minutes in the future, no matter how bad the events are. It could explode into tiny pieces and the arrival board would say it’s 11 minutes away forever. Last week I was riding it when one of the doors flew open while the train was doing its top speed, which admittedly is only about 50 mph. That was fun.